A pig who wants to fly. A boy with a knack for invention. An inspiring story of two dreamers winging it. First Jack and Ollie try the leafy branches. Then a giant kite. Idea after idea, invention after invention, boy and pig drag them all to the top of the highest hill. 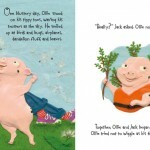 Then Ollie runs as hard as ever a pig could run, until his trotters lift from the ground and—Crash! 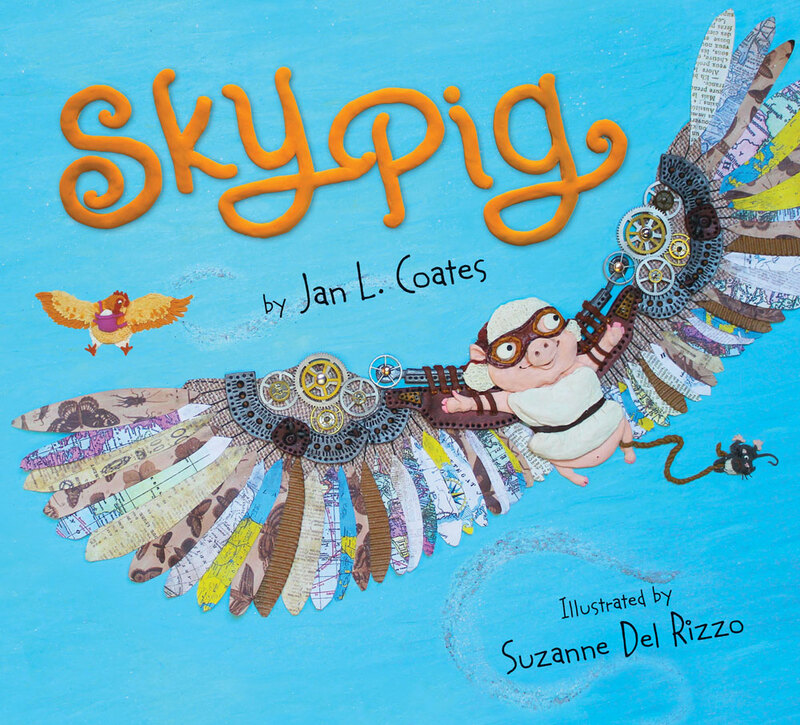 In Sky Pig, Jan Coates weaves a story of sweetness and whimsy, ingenuity and empathy. 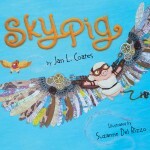 Plasticine artist Suzanne Del Rizzo brings dimension and energy to the tale of a pig who wants—against all popular truisms—to fly. He may never reach the sky on homemade clockwork wings, but Ollie still dreams as hard as ever a pig can dream. And Jack, a true friend, realizes that just because a pig can’t fly in the ways they have tried doesn’t mean he can never soar. 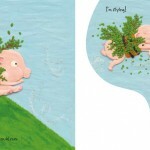 An uplifting picture book for anyone who has tried and tried again.